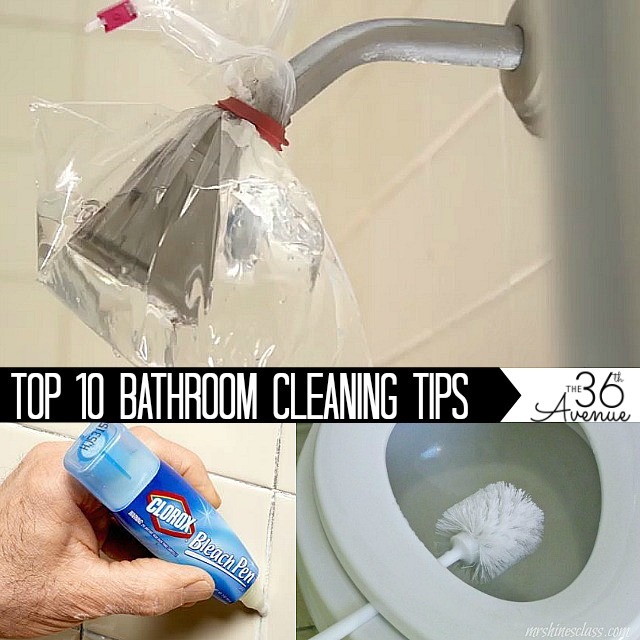 Awesome and easy ways on how to clean a bathroom… These are our top 10 favorite bathroom cleaning tips that we have found around. Check them out and happy cleaning! Drip dry your toilet bowl brush! What a genius idea by Mrs. Hine’s Class. Use Toothpaste to Remove Water Stains on Grout and Soap Scum on your shower! See how at Hub Pages. 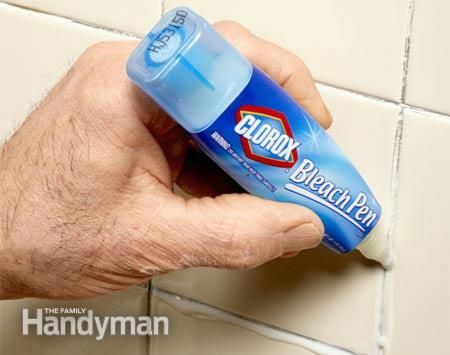 Also you can use a Bleach Pen to clean your grout! 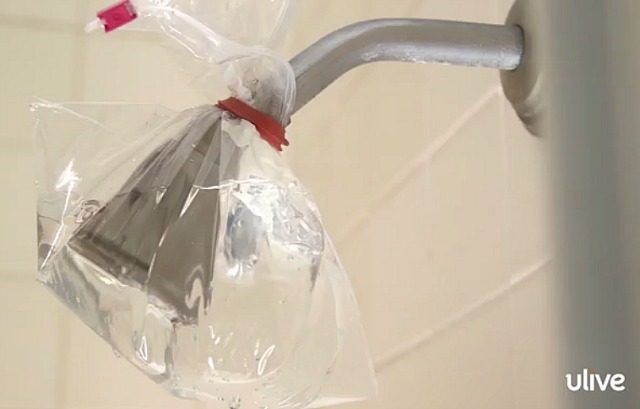 Clean your shower head using a bag with vinegar! Use baking soda and vinegar to remove gunk and clean your bathtub drain. Use an Organizer Hanger Cuttie to minimize the amount of clutter and keep your countertops clean! 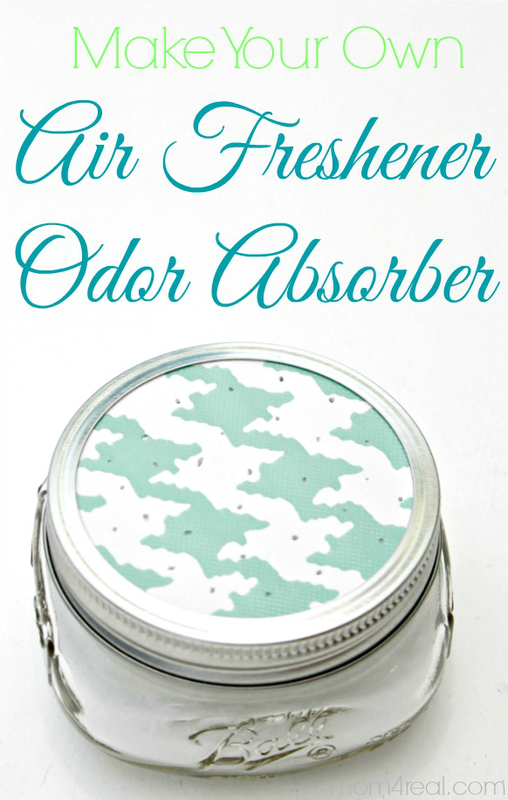 Make Your Own Air Freshener for the Bathroom! Keep bath toys clean and dry in a Bath Storage Basket! 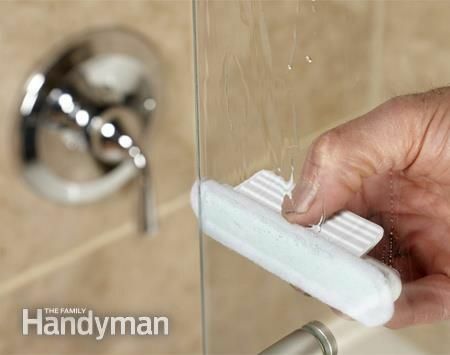 Use Auto Glass Treatment to protect your shower doors from mineral buildups! Use a Pocket Over the Door Organizer to store bathroom items. 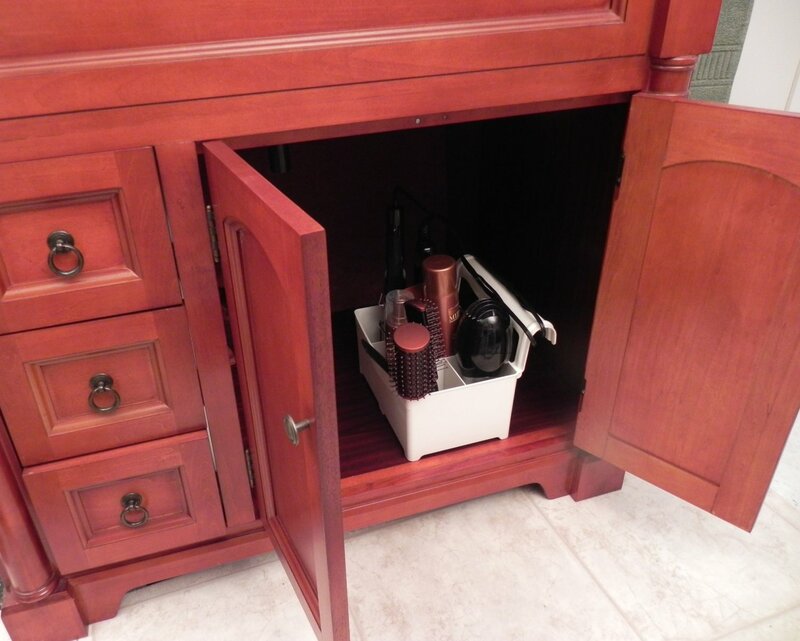 Great idea for small spaces! Use Bar Keepers Friend to clean your porcelain bathtub and sink! Here are some other cleaning tips and hacks that we love! Click HERE for these 35 Best Cleaning Tips! Click HERE to see these clever Kitchen Hacks! Click HERE to see these 15 Organization Tips. So many great and useful tips!